Intensive Care or Critical care nursing is a nursing specialization that caters patients facing life-threatening. Patients admitted in the ICU requires close monitoring, round the clock medications and high quality nursing care to be delivered 24 hours a day to improve health. Being an ICU nurse is a good place to learned and gain experience if you are planning to pursue the clinical side of nursing. There is something prestigious when nurses say that they work in the ICU. Maybe because the cases they cater are more complex than the one in the ward. Or maybe the equipment is more advance and technical, that interest some nurses to apply and get transferred to the ICU. Unexpected events happen in the ICU, and the nurse has to be ready for them. ICU nurses run in an entirely different world than the ward and other special areas. There are aspects in nursing care that ICU nurses are masters at. Intensive care unit (ICU) nurses are the “Miss Congeniality” of hospitals since they often work with the different departments of the hospital. ICU nurses is the heart of the multidisciplinary team of doctors, consultants, physical therapists, pharmacist, medical technicians, and various other specialists to ensure that the patients receive the best care they can have. The one most visible at the most difficult patient care moments, they need to familiarize themselves with the patient’s right and ethical issues that they will be facing with in the future. How ICU nurses differs from ward nurses? There are two sides to the coin, some people wants to continue their professional career by promoting themselves to a special area such as the ICU, yet others who have stayed to long in the area wishes they never did. 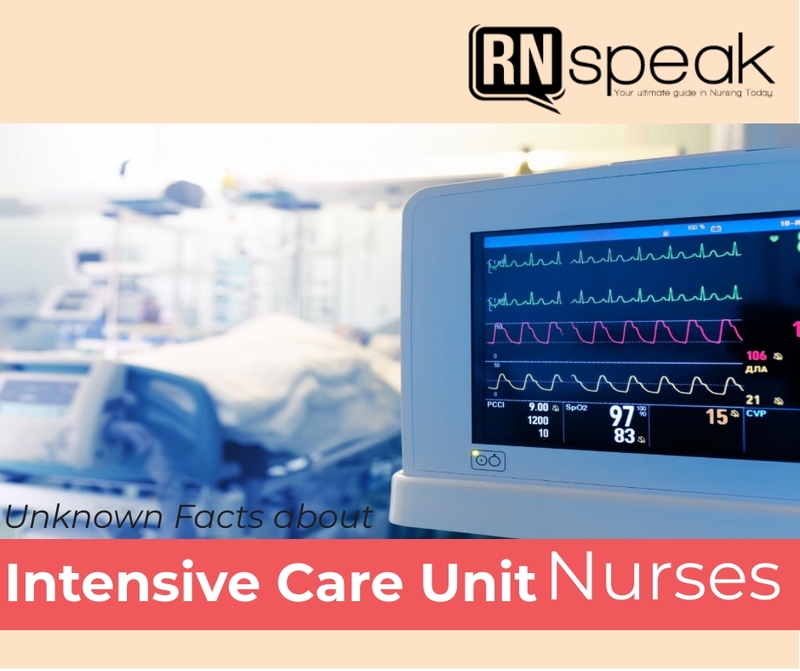 The nurse-patient ratio in the ICU is two to 3 patients per shift, but taking care for those patients takes up so much time from feeding, medications to documentation. Sometimes one shift is not even enough to finish all the task asked for them. Unfortunately for some, the ICU is too much to handle. Not everyone is able to cope with the physical exhaustion and emotional despair the ICU nurses feel in their everyday. 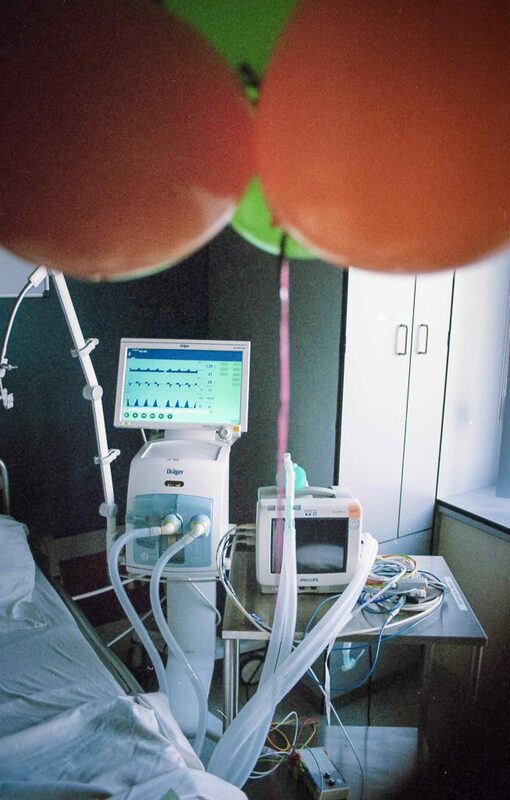 Some hospitals have different ICU units catering specific cases. If you work in a big hospital that is funded well, they would have multiple ICU settings like separating patients suffering from medical cases with surgical cases, or as simple as separating patients account to age, adult and pediatrics. Some would even have burned and trauma ICU which also needs close monitoring. On the other hand, smaller hospitals could not afford to build numerous case specific Intensive Care Units, thus they collectively put these critical patients in one unit for close monitoring, management and treatment. ICU nurse requires a vast array of knowledge on the different cases the unit caters, as well as their respective management. It requires continuous updates on the treatment and management of different diseases. The duties of an ICU nurse include assessing the patient’s condition, implementing and carrying out medical plans. They monitor vital signs, assist doctors during procedures, and give ordered fluids and medications, managing ventilation and life support equipment. In some institutions ICU nurses extracts blood for laboratory testing and some incorporate dialyzing patients. The ICU nurse is also responsible with patient’s personal care and hygiene such as eating, bathing and dressing. ICU nurses respects and promotes the rights of the patient in cases when patient is unable to do it himself. They serve as a liaison between the patients, patient’s family and the healthcare team. They also provide emotional support and health education to the family. They also take in the burden of comforting relatives in end-of-life situations. Once the patient is stable, they are transferred to the regular room. The ICU nurse is responsible in transferring the patient safely and endorsing the significant events that had happened to the new team. 1. They are good in communicating with others. ICU nurses are the front liners in critical care. They communicate with different members of the healthcare team. They also stand as an emotional support to the families of the patients. 2. They are emotionally stable. Nursing is a stressful job. An ICU nurses should be emotionally stable, with the chaos and the emotional overflow in the area. The nurse should be able to control her emotions and show a strong facade. The nurse should be able to disconnect personal life with work especially in situations of suffering and death. 3. They can empathize. Great ICU nurses know how to empathize for their patient in pain and suffering. They are compassionate and are able to provide comfort. Nurses are patient advocates. They watch out for their patients and makes sure that everything done is to reduce suffering and promote life. 4. They are punctual and flexible. Like other nurses in the hospital, they too cover 24 hours in a day. They work long shifts that start late at night or early in the morning. They are punctual and always on time, not only in their shift schedule but also in giving medications. 5. They have an eye for detail. It is easy to assess coherent patients since they are able to express their pains and discomforts. But for unconscious patients, it is the nurse’s clinical eye that tells the problems of the patient. A great nurse can easily identify and can quickly formulate response that need attention and careful not to skip steps or make management plan. 6. They are neat and organized. Nurses from the other area would say that nurses in the ICU have obsessive-compulsive disorder (OCD) because they like everything labeled and organized. For ICU nurses, it is much easier for them to move around fast when they know where their supplies are at. If you call hating untangled IV lines, inappropriate labels, and poorly secured IV lines, OCD. Then all ICU nurses have OCD. 7. ICU nurses are fit and physically strong. Being a nurse in general is a physically tiring. But for ICU nurse, lifting dead weight patients, running around the unit and other physical requiring tasks everyday are staples of an ICU nurse. Nursing itself is not a desk job. A great nurse is able to hold up a high amount of energy throughout her shift, despite missing their eating, drinking, social and even their pee time. 8. They are problem solvers. A great ICU nurses is able to think quickly despite being a high-pressure situations. An ICU nurse can anticipate problems before it has even arose. They able to do something to prevent the foreseeable problems. In tricky situations, ICU nurses always find ways to get loose. 9. ICU nurses are smart (nurses in general). ICU nurses are ready to respond to any emergencies in the area. Staying on their feet and keeping their head clear and cool in a crisis is a great attitude. It lessens the window for error and misjudgments. ICU nurses like to learn constantly, researching and reading. They too like attending updates and seminars related to their field. 10. ICU nurses respect the wishes of the patient and/or the relatives. Respect goes a long the way. They remain impartial and keep the confidentiality requirements. They respect the patient’s traditions and cultures. They are not only respectful to the families and relatives but also to the other members of the institution. To work as an ICU nurse, you need to be a registered nurse. You will need to finish a bachelor’s degree in nursing and pass the national exam for registered nurses. Certification is not a requirement to be an ICU nurse; but it would be an advantage if you are. It will show your potential employers that you are serious in advancing your professional role and thus making you an asset to their institution. The certification for Intensive Care or Critical Care Register Nurse, you will need to have at least 2 (two) years’ experience in critical care setting before you are allowed to take the certification exam. The exam is conducted by the American Association of Critical-Care Nurses (AACN) in the US. Check your local nursing association for its counterpart. Most employers are after nurses with work experience with critical care nursing. If you don’t have any, you may work in different areas and prove to your employer that you are much capable to be an ICU nurse. This is would also help in learning new skill and gaining more experience in this branch of nursing. There are some advanced degrees that can also make your resume stand out. You can pursue a master or doctorate degree in nursing. There are different sub-specialties that are useful with this area. If you are eager and decided to be an ICU nurse you might want to check out the different graduate studies that would keep you working effectively in your field. To be an ICU nurse also requires different trainings that are essential in patient care to prolong life. You need to be a licensed basic life support (BLS) provider and/or advance cardiac life support (ACLS) provider. These training is constantly update every 5 years by the American Heart Association. Some hospitals included dialysis as part of critical care nursing. You may also need to attend trainings on dialysis. Others trainings and seminar may include infection control, pharmacology and psychology. As an ICU nurse you need to be updated in the different trainings that you think you need to be more efficient. Be updated and make your resume stand out. Note: The salary range varies depending on the years of service, certification and education. There is a nursing shortage and it is even distinct in critical care. ICUs have a definite number of patients unlike in the emergency room. Thus the hiring for Intensive Care specialist is on demand. Yes, the work is very demanding but it is also important that you enjoy and feel satisfied at the end of the day. Are you a nurse willing to work in a chaotic, energy draining and emotionally fueled setting? Are you able to make precise and fast decisions in high-pressure situations involving your patients? If you think you can do it then aim more, be an Intensive Care Nurse.